Ready to find a new job? Whether it’s your first or your fifth, it all starts with your resume. Crafting an easy-to-read resume that highlights your education, skills and experience isn’t as easy as you think. But spending the time to get it right is a valuable investment in your career. Hiring managers spend just three seconds scanning the top of your resume, according to Time.com. It may be tempting to create a resume with a variety of fonts, tables and elaborate layouts. Remember, a HR employee will quickly scan it to see what your experience and skills are before giving it a more thorough look. Use a font like Times New Roman with a point size of 9 to 12 and don’t use a lot of bolding, underlining or italics, according to an article on Forbes.com. Create your resume in a Word format that is easy to email or upload. Avoid any formatting that will be hard to read or could be distorted when sent digitally. 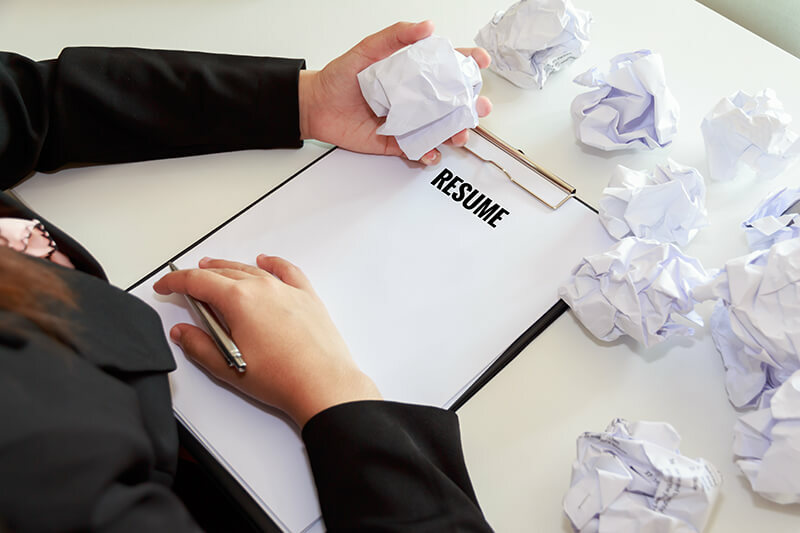 When putting together your resume, avoid getting bogged down with words like “customer-oriented” or “creative,” according to the Forbes article. You want to show that your work contributed to your company’s larger goals and that you’re focused on helping the business meet its goals, not just your own. While it may seem like you’re personalizing your resume by adding details about your family, hobbies and a photo, it can work against you. Keep your resume focused on your professional accomplishments. Your personality can come into play when you successfully land an interview. Take advantage of sites like LinkedIn.com or a personal website to showcase your work product, advises an article on Time.com. Whether it’s a collection of projects for creative fields like communications and design or building and product plans for engineering or manufacturing, make it easy for hiring managers to see your professional skills in action. Taking the time to showcase your professional accomplishments in a concise, well-designed resume is the key to advancing your career. Following these tips from hiring pros will make sure that resume goes to the top of their list for interviews.